"Gods of Justice" - Chapter 2: "Crime Pays"
The Justice League and the Injustice Gang join forces to combat the threat of the Anti-Monitor. 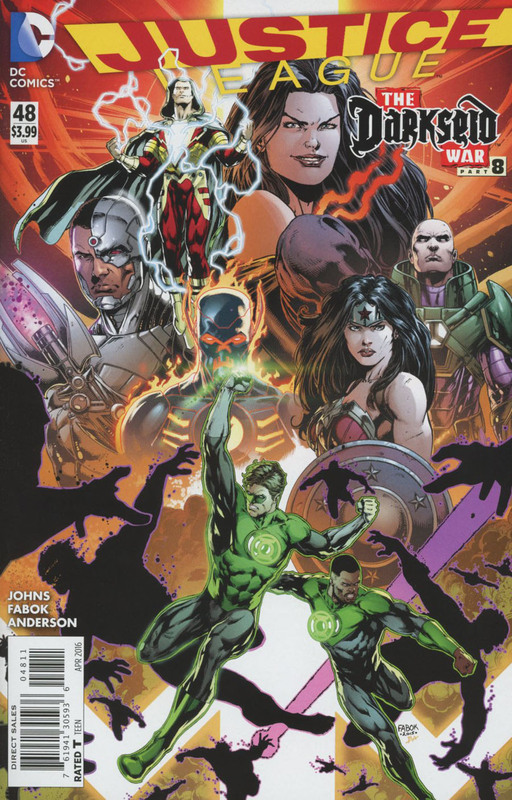 The Green Lantern Corp enters the fray, as all engage the Anti-Monitor, with the best chance for victory being a simultaneous attack by Superman and Ultraman. However, Ultraman botches the attack by going it alone, and the Anti-Monitor kills him. Lex Luthor arrives with a horde of parademons, while Steve Trevor is abducted by Grail. The long battle to save the planet from destruction goes on. Story - 3: It's rare that a comic just exhausts one, but this is definitely one of those singular cases. The Darkseid War has been decompressed beyond credulity, in an effort to do what only higher beings can understand or care about. It's a diaphanous need to keep the story going until issue #50, where all things, including this storyline, can be wrapped up for the current DC Universe, before Rebirth. There are some good elements here, but nothing to excuse the blatant disregard for the readership, who has been placed in what is tantamount to water-torture, while waiting for the story to pick up, which it will only do right before it ends. It's unfair and a confounding act; what started off with great promise has been constrained by other forces, and if one challenges that notion, find truth in the fact the story doesn't continue in the pages of Justice League, but in another one-shot, extending the story even further beyond its reach. It's rare that it happens, but this storyline has just made me tired of reading it. I could turn on an American Standard and have more entertainment value... and have it for free. 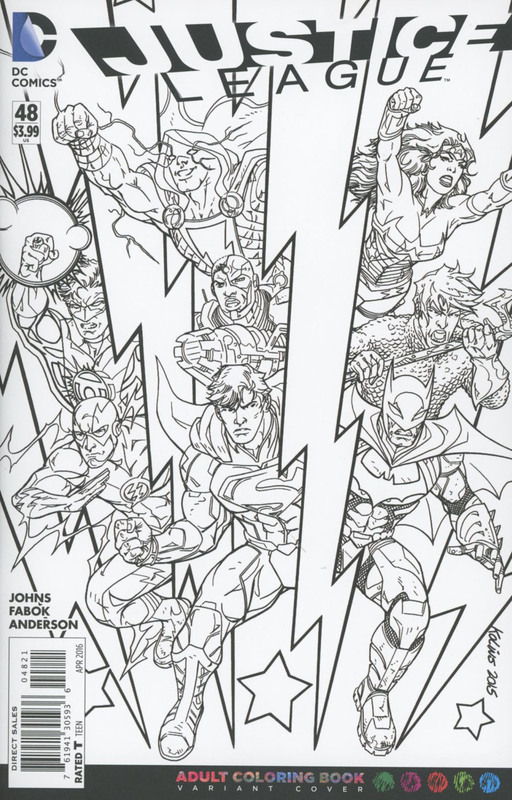 Art - 4: Fabok's linework is stellar, but he needs something of worth to illustrate, not this. Cover Art - 4: Can any guess where this was used before?